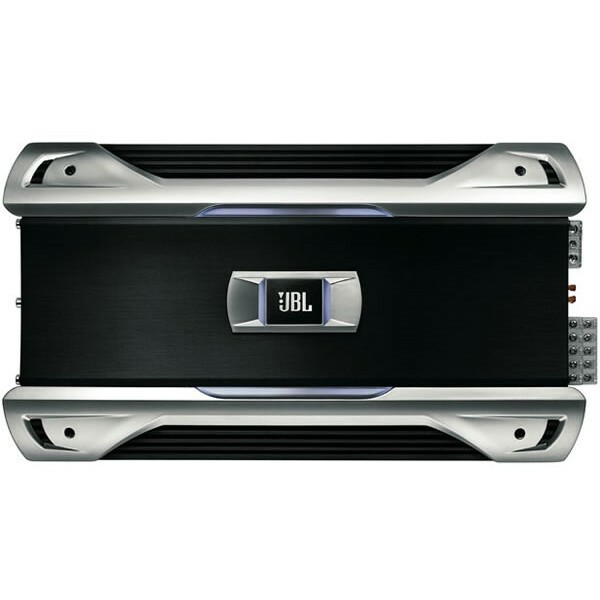 JBL GTO5355 660-Watt 5-Channel Car Audio Amplifier with built in variable electronic Crossover and variable Bass boost. The GTO5355 is designed to drive and entire car audio system including subwoofers. The GTO5355 has been engineered to ensure optimum power delivery into numerous impedances with low distortion. It comes outfitted with a variable 12dB per octave electronic crossover allowing you to optimize system tuning based on speaker location and accompanying loudspeaker components. The GTO5355 is designed to drive a complete system using its four full range channels and powerful signle subwoofer channel. To further improve your system's performance, we would suggest that that you also add a pair of JBL's GTO loudspeakers and subwoofers. The GTO5355 also features direct connect, which allows use of up to 4-gauge power and ground cable to ensure enough juice is being delivered. Direct connect speaker terminals are also used eliminating the need for additional adapters or special fittings. Common-dimension amplifier footprints are used on all of the GTO models providing two common dimensions for ultra clean multiple amplifier model installations. 4 ohms: 55 watts x 4 chan. + 225 watts x 1 chan. 2 ohms: 75 watts x 4 chan. + 360 watts x 1 chan.